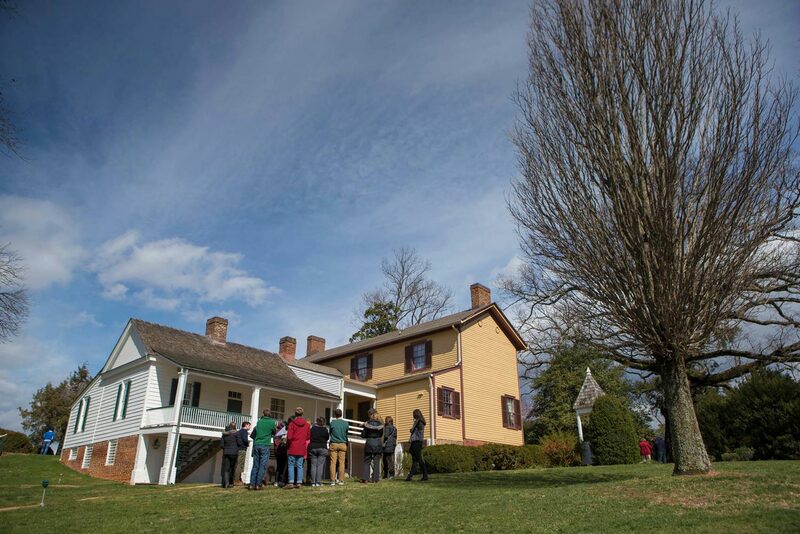 Last spring, leaders at James Monroe’s Highland estate included University of Virginia students as they brainstormed ways to bring augmented reality technology to the fifth president’s Albemarle County home. A year later, Highland officials have announced the site’s first tours using augmented reality glasses. On the current version, illustrations of multiple characters, including Monroe, his wife Elizabeth and their granddaughter, an enslaved cook, an enslaved blacksmith and an overseer, come alive through the glasses and accompanying audio. As the viewer watches, they interact with each other and share different aspects of their home with their 21st-century visitors. The free tours are the first use of such technology – from tech firm ARtGlass – at a cultural site in the United States. Highland’s learning experience extended to UVA students who watched part of the process unfold. Fourteen students enrolled in architectural history professor Lisa Reilly’s “Strategies of Interpretation: Highland” class spent a lot of time at the estate last spring. They met with Bon-Harper, architectural historian Carl Lounsbury and others, learning about the site’s history, exploring the recently uncovered remains of Monroe’s original house and studying how tours present the ongoing discoveries. You can read more about Reilly’s class in our original UVA Today story. As a final project for the class, student groups created presentations outlining their ideas for sharing new discoveries at Highland and leading visitors through site tours. Two of the four student teams partnered with ARtGlass to explore augmented reality tours. Fourth-year architectural history student Hannah Glatt said she was excited to hear Highland had officially launched augmented reality tours. She and several classmates are planning a trip to test it out. Glatt, who hopes to one day work in educational development at historic sites, said Reilly’s class was perfect for her. Though Highland’s current tour is not directly drawn from the students’ presentations, Bon-Harper said that their ideas and input helped fuel the project. “There was some overlap in the ideas the students presented and the ideas we prototyped early on, and hearing their enthusiasm for the technology certainly encouraged us,” she said. 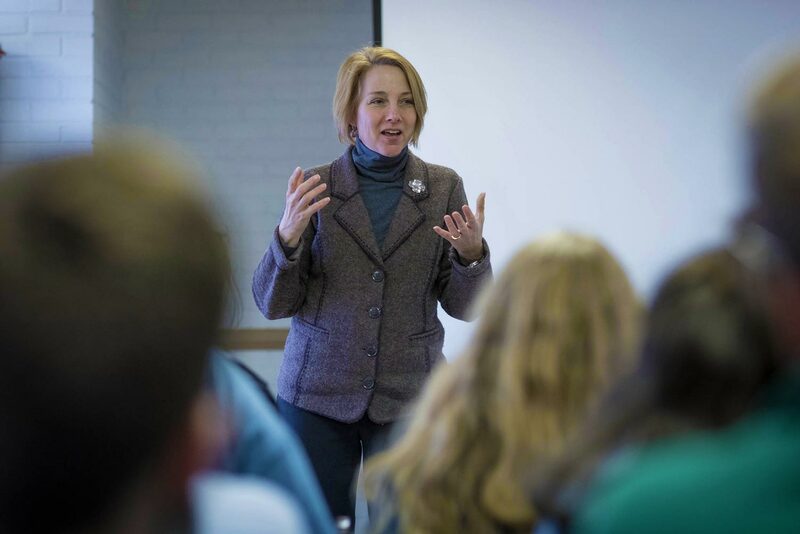 In particular, Bon-Harper said, the students’ emphasis on including multiple voices in the tour confirmed Highland officials’ ideas about the importance of exploring different characters and roles on the estate. Bon-Harper said each illustrated character – a list that includes both Monroe’s family and the enslaved families living on his estate – features historically accurate costumes and dialogue. Where possible, characters’ words are taken directly from the estate’s historical records. For example, one conversation between Monroe and his overseer includes lines from letters between the two. “The tour is really grounded in our historical research and interpretation of the site, which I am very proud of,” Bon-Harper said. Reilly, who has already tested out the tour, said it outperformed several virtual reality tours she had been on while taking architecture students to Italy during study abroad programs. Reilly is already planning another class at Highland with architecture and design thinking professor Elgin Cleckley. That class will be offered in Spring 2019.